In honor of the Oscars I decided to get real fancy for my B-day weekend. Isn't this Shoshanna dress amazing! I love that you can rent it and not break the bank. ;) Plus Rent the Runway sent me a $20 b-day credit so I had to cash in! That is definitely your color! It looks great on you! You look amazing! I love this dress and color, stunning! I love that color! Especially with turquoise accents! You look FAB! Love Shoshana! Love RTR!!! 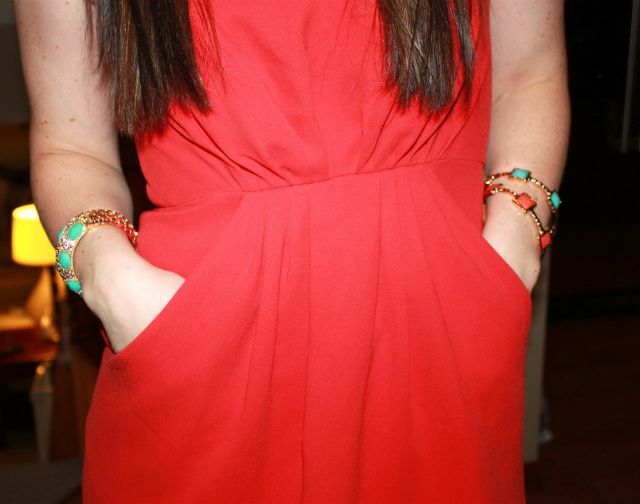 you look wonderful in that dress and i like that you pick up turquoise accessories. 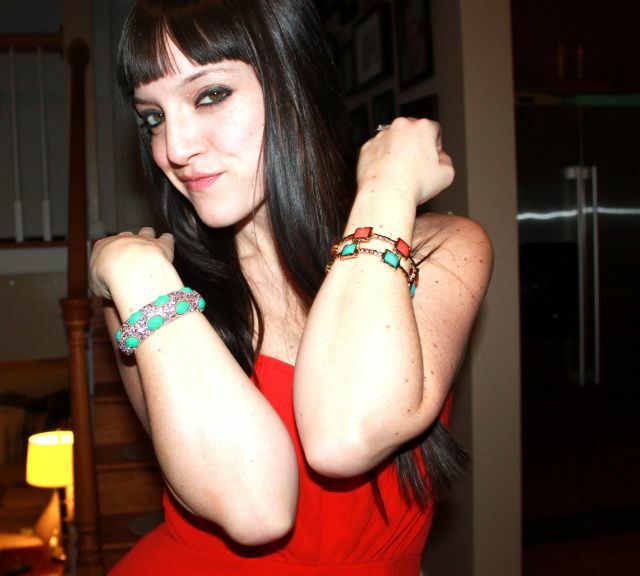 I love all your bangles..such great shapes and colors! Love everything and your hair is so shiny and gorgeous!! HOT MAMA!! 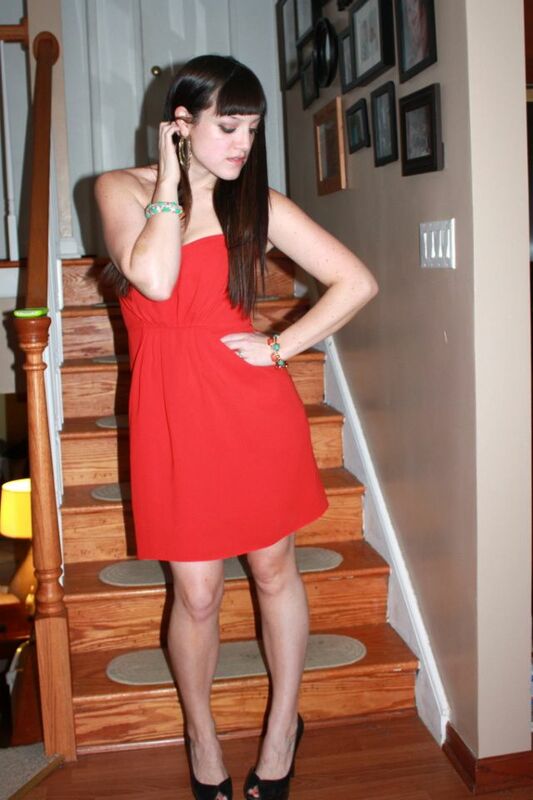 You look amazing it red and the pretty details like your jewelry! I'm not a fan of Rent the Runway as you know, but I'm glad you're taking advantage of the cool credits they're giving and get to wear hot little dresses like this! You look great! Happy birthday!! I'm also a huge rent the runway fan! Oooooh! I LOVE the red. You look fabulous! Yowza! You're looking super hot lady! Love this color on you.